Editor’s note: Andy Arnold ran for LetsRun.com co-founder Robert Johnson at Cornell for three years (he ran under Zeb Lang his final year) and did a fifth year at Ohio State under Brice Allen. A 4:19 performer in HS, Arnold improved to PRs of 3:47, 8:09, 14:09, and 29:35. Johnson, Arnold and a slew of others went to Kenya in 2011 and Arnold caught the Kenyan bug. An anthropology major, Arnold recently received a Young Explorers Grant from National Geographic and thanks to that funding and the support of many others, including LetsRun.com, Andy will be in Kenya for the next six months. 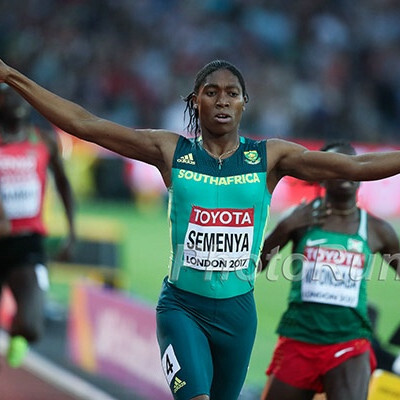 To read his first article, on the massive Nakuru track meet in March, click here. Will: Beethoven, okay. He looked at a piano, and it just made sense to him. He could just play. Skylar: So what are you saying? You play the piano? Will: No, not a lick. I mean, I look at a piano, I see a bunch of keys, three pedals, and a box of wood. But Beethoven, Mozart, they saw it, they could just play. I couldn’t paint you a picture, I probably can’t hit the ball out of Fenway, and I can’t play the piano. Skylar: But you can do my o-chem paper in under an hour. Will: Right. Well, I mean when it came to stuff like that… I could always just play. After spending this past week in Kenya observing workouts orchestrated by Renato Canova, I can tell you that the man can just coach. Canova is a genius, and his passion is track and field. His background in athletics began as a child in Turin, Italy, where he took a unique approach to becoming a student of the sport. Rather than specializing in one discipline, Canova embraced them all, successfully competing in every single event offered by the track and field catalog. How often does a hammer thrower also attempt a marathon? Not surprisingly, his specialty became the decathlon. His personal best in the event was 5,966 points, an achievement that nearly qualified him for the Italian national team in the early sixties. Canova always dreamed of representing his country in international competition, and probably would have made that jump were it not for a peculiar conflict of interests. Just as he was peaking as a decathlete, Canova was also discovering that he had a gift for coaching. By the end of the decade, five national-caliber athletes called him “Coach,” which prompted the Italian Athletic Federation to force him to abandon his quest as a decathlete. At that time, it was against the rules for an athlete attempting to join the national team to also be one of its coaches. The prohibition was a devastating blow for the young Canova, but if history is any indicator, it allowed him to fulfill a far greater purpose. Today, Canova has made endurance running his area of expertise and Iten, Kenya, his home. He arrived in the heartland of distance running back in 1998, and has since built a legacy as one of the world’s greatest middle and long distance running coaches. 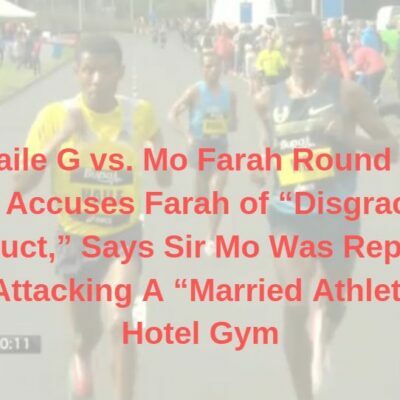 His athletes have ranged from steeplechase world record holder Saif Saaeed Shaheen to 2:03 marathoner Moses Mosop to women’s half-marathon world record holder Florence Kiplagat. Over the past 20 years, his athletes have won a total of 42 medals at the Olympics and World Championships and Canova has even served as the national team coach for Italy, Qatar and China. In many ways, Canova has reshaped the global system of athletics, and at the sprightly age of 71, will continue to do so. Last week, Canova was gracious enough to allow me to accompany him and his team and observe three distinct track workouts with three of the world’s best athletes in their respective disciplines. The first workout was with world record holder Florence Kiplagat, who is preparing to compete at the upcoming London Marathon on April 24. 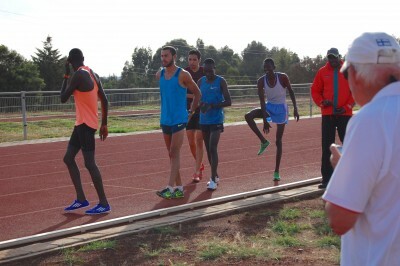 The second workout allowed me to witness Olympic 5,000 bronze medalist Thomas Longosiwa and his build-up for the Shanghai Diamond League meeting on May 14. Last, but certainly not least, I joined 7:58 steepler Jairus Birech and company for an absolutely tremendous steeple workout at Lornah Kiplagat’s newly-built Tartan-surface track in Iten. All three athletes looked exceptional during these training sessions, and allowed me to understand the unique relationship between the world’s best athletes and one of the world’s greatest coaches. The first workout I witnessed was on March 29 with Florence Kiplagat, who won the Chicago Marathon last fall and broke the world record in the half marathon (65:09) in February 2015. 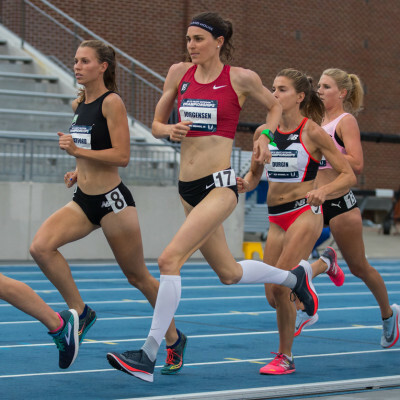 Canova explained to me beforehand that she was not in the same form as last year, largely because of an injury, a strange stress reaction that had interrupted her training this past winter. However, Kiplagat has been quick to recover, as demonstrated on February 14 at the Barcelona Half Marathon, where she destroyed the field and clocked a 69:19 winning time. 1:09 is a far cry from 1:05, but both Kiplagat and Canova are optimistic that she can return to world-record shape in the half. Assuming the unthinkable does not happen and Kenya participates at this year’s Olympics, Kiplagat has her heart set on representing her nation in the marathon. With the London Marathon fast approaching, this workout was another stepping stone for getting her that much closer to Rio. 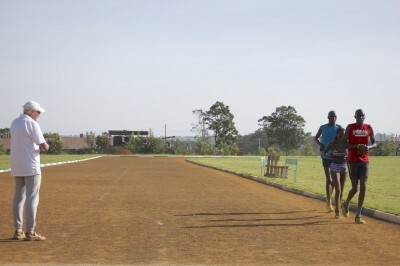 The chosen place of the workout was Moi University’s track facility, about an hour’s drive from Iten. Canova usually makes his athletes workout at Kamariny Stadium in Iten, but for this effort he wanted to make certain that the track was clear for Kiplagat. Kamariny can sometimes swell to over 200 athletes during the cooler morning hours, and with 17,000 meters of work ahead of her, Canova thought it best to find a more private location. We left Iten at 6 a.m., before the sun had risen. Inside Canova’s all-white Nissan minivan were Kiplagat, pacemakers Ezekiel and Issac, Canova and myself. I have to admit that it was impressive watching the 71-year-old coach navigate the terrible Kenyan roads and traffic flawlessly and quickly while driving a stick-shift van. There is no question that the man is Italian. We arrived at the gates of Moi University around 7:00, gave the guards our passports (standard procedure for visitors) and parked the van by the finishing line of Moi’s dirt oval. Only one other runner was using the facility when we arrived, granting Canova’s wish for a near-private training session. After climbing out of the car, Kiplagat and her male pacemakers set their belongings down on the dilapidated wooden bench marking the start line. The three athletes had brought their spikes, as well as gel packets and protein shakes for refueling during and after the workout. Kiplagat and her pacing team then began a short warm-up around the facility. The sun was low in the eastern sky and there was a slight chill to the air: perfect conditions for a distance workout. Canova seemed energized by the brisk morning and used the warm-up as an opportunity to explain the workout to me. 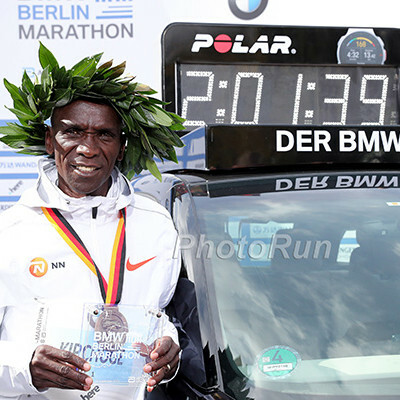 When I asked about rest, Canova responded, “Three minutes for the 3k and 2k repetitions, and two minutes for the 1k repetitions.” It was going to be a tough day for Kiplagat. After about 15 minutes of light jogging, Kiplagat and her workout team returned to the wooden bench and started preparing for the workout. They stripped down, removing their heavy track suits, and began their strides in racing tops and compression shorts. 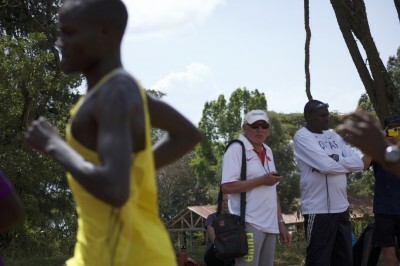 Both men were wearing adidas gear, while Kiplagat was decked out head-to-toe in Nike racing apparel. Canova called them together and explained the workout, handing the print-out to Kiplagat. Taking out his stopwatch, he stood in what would be lane three and ordered the runners to take their mark. “9:50 for the first 3k, okay, 78 pace!” he yelled. The group lined up, Issac in the lead, followed by Kiplagat and then Ezekiel. Hands on the watches, the line of athletes slowly inched up to the starting line and then took off together around the curve. Canova started his watch once they passed the wooden bench, and the workout was underway. After the workout, Canova seemed pleased by the effort. Kiplagat, on the other hand, seemed slightly disappointed. I can’t imagine being disappointed after running 17,000 meters at 2:14 marathon pace (at 7,000 feet of altitude), but I suppose that’s why Kiplagat is the world record holder and I’m not. She is a competitor, and her fierce focus following the workout leads me to believe that she will be a force to be reckoned with on April 24. A telling moment happened as we were collecting our belongings and preparing to return to Iten. The lone athlete that was using the track when we arrived walked up and started talking to Canova. The athlete’s name was Paul, a young man, maybe early-20s, dressed in a stained blue T-shirt with old running shorts and a ratty pair of trainers. His outfit told me that he was unsigned, and his running form earlier clearly showed that he was an amateur. He was explaining to Canova that he was an 800-meter runner, and that he wanted to become a professional. I half-expected Canova to simply ignore him; after all, he was already busy coaching the world’s best runners. But to my surprise, Canova was more than gracious to the young man. He spent at least 10 minutes asking him questions about his training and recent performances. He then took the time to explain how he should train for the 800 meters, and even encouraged him to move up to the 1500. When Paul (who, I later came to discover, has a PR of 1:56) asked if he could join Canova’s training group, the elderly coach did not laugh or belittle him, but kindly explained to him how he was not yet ready for that level of training. Instead, he took his number and said that he would follow his results at the local races this season. Later that afternoon, I drove down to the Kamariny track with Canova to watch his second workout of the day. This training session featured his elite 5,000-meter group, lead by 2012 Olympic bronze medalist and 12:49 man Thomas Longosiwa. The drive from Canova’s residence at the Kerio View Hotel to Kamariny’s dirt track is very short, only about 2.5 kilometers down a rocky, uneven, red clay road. When we arrived at the stadium, his 5,000-meter group was just finishing their warm-up. On the finishing straight, the men were being given instructions by Canova’s assistant, John Litei. Litei, a 32-year old Kenyan, was an athlete of Canova’s back in the mid-2000s, when he was a talented long sprinter and middle-distance runner (he has PRs of 1:44.87 in the 800m and 45.1 in the 400m). His highest finish in a major international competition came at the 2006 Commonwealth Games where he secured bronze. Unfortunately a nagging injury crippled Litei’s career so he took up coaching instead. He is well-liked by all of Canova’s athletes, and is eager to learn from his iconic mentor. I set up my camera just inside the first turn, and watched as both Litei and Canova gave the group their instructions for the day. The pack of athletes numbered about eight men, all dressed in brightly-colored singlets sporting the logos of adidas and Nike. Longosiwa was wearing a bright yellow adidas racing top with black adidas shorts. Next to him stood 13:04/59:55 man Vincent Yator, dressed in a purple Nike tee. After getting their instructions, the athletes took off down the finishing stretch to get in their last few strides before starting what was sure to be a tortuous body of work. After giving their instructions, Canova and Litei walked over and once again allowed me to glance over the training schedule for the day. The 5,000 group had a similar workout as Kiplagat, only faster and with less volume. Canova wanted the men to start with a 3,000-meter repetition in 8:55 (4:45.3 1600 pace), then two times 2000 meters at the same pace, followed by five times 1,000 meters in 2:53 (4:36.8 1600 pace). The rest would be three minutes after the 3k rep, and then two minutes thereafter. The total volume for the day was 12 kilometers. Longosiwa looked fantastic throughout the workout. His stride was powerful yet efficient, never showing any signs of fatigue. At one point during the 1k repeats, Canova turned to me and said, “He’s aggressive in training, no?” Aggressive is the proper word to describe Longosiwa. His last rep was especially fun to watch, for the pace was slow for the first 600 meters, until he surged to the front to finish in the fastest time of the day. Yator was not far behind, and helped Longosiwa throughout the session by alternating the pacing duties. The hot temperatures (80 degrees Fahrenheit), high altitude and difficult running surface of Kamariny (due to years of rain and constant use by athletes, lane one has become a rut in the ground that handicaps your stride) made this workout even more impressive than the paces suggest. But the unsung hero of the day’s workout was neither Longosiwa nor Yator, but a surprise visitor. As the training session unfolded, the Canova group gradually strung out, until only Longosiwa, Yator and a young man wearing an all-gray racing outfit remained in the lead. He looked strong, matching Longosiwa and Yator stride for stride. I was curious why Canova did not mention him before. But when I asked him for the young man’s name, he just shrugged his shoulders. “I don’t know, I have never seen him until today,” he said. I explained to both coaches that it would be extremely rare in the United States for a college team to allow a stranger, a “walk-on”, into their practice … let alone a world-class training group like Canova’s. When I said this, both coaches just laughed, as if it was ridiculous. Canova chuckled in agreement, saying “Many coaches do not understand what they are doing in the U.S.” Let that be a lesson to all you college coaches who deny walk-ons from joining your roster. You may be chasing away the future of your program. The next day, Canova invited me to witness a hard steeplechase session he was designing for two-time Diamond League champion Jairus Birech. The workout was to take place at Lornah Kiplagat’s recently-built Tartan-surface track, about four kilometers from the center of Iten. The track facility is part of a larger vision of Kiplagat’s, which is to build a sports academy for high school-age girls in Kenya. This academy would combine school and athletics in revolutionary way in Kenya, and the idea has attracted sponsors such as the Virgin Money London Marathon. Whereas the 31-year-old Taleb is in the twilight of his career, Tsenov is just getting started. The talented Bulgarian set a national record in 2014 (8:20.87), and won the European Under-23 steeplechase title last year. Canova says he is a great talent, but the 22-year-old would need to have the workout of his life to hang with the Africans on this day. After opening his red notebook, Canova showed me the schedule for the day: 2 x 1600 meters over barriers (no water jump) at 65 seconds per lap. “4:20 pace. Wow… that’s fast,” I remarked (65 per 400 is 8:07.5 3000 pace). Canova agreed. Finally summoned, the men took their positions on the start line. Kimutai was in the first position, followed by Tsenov, Birech, and Taleb. Canova stood by the start line with his stopwatch in hand. In unison, the men slowly jogged toward Canova, before taking off right before the line. All four men cleared the first barrier with ease, but Tsenov stood out as the one with the best hurdle form. Their order remained the same until the last lap, at which point Birech took over, pushing the pace slightly to finish in 4:20. The rest of the group finished in tow, with everyone running under 4:22 for the first repetition. The steeple group gets ready to start a rep. Birech is fourth from left. 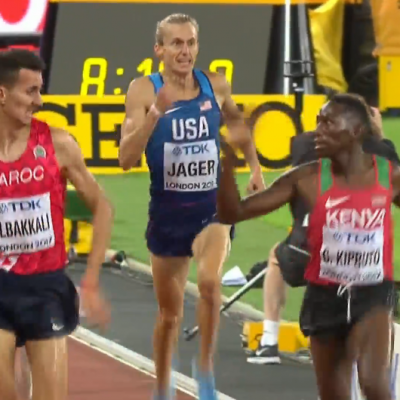 Eight minutes later, the steeplechasers lined up again, this time with Tsenov at the lead. Once again the pack tore into the first turn, running 65 seconds for the first lap. But as Canova predicted, the workout began to take its toll on the athletes. Tsenov ran the second lap in 67 seconds, prompting Taleb, Birech and Kimutai to pass him on the turn. 200 meters later, Tsenov dropped out, leaving only three men for the last 600 meters. They hit 1200 meters together in 3:17, but the effort proved too much for Taleb and he too dropped out 20 meters later. That left only Birech and Kimutai for the final lap. With 200 to go, Birech launched into a furious kick that left Kimutai struggling to keep pace. Birech finished in 4:20 once again, thanks to a 63-second last lap. Kimutai staggered across the line a few seconds later, the only other athlete to survive the day. As we piled back into Canova’s van and started the short drive back to camp, I was left to wonder which of the two would win the gold. 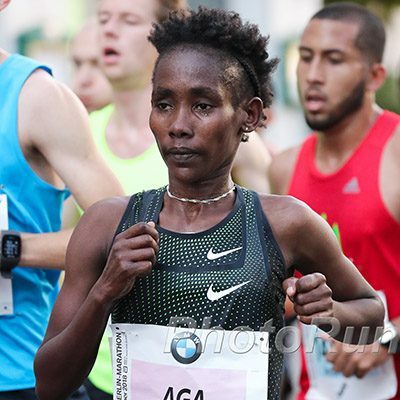 2019 Tokyo Marathon Women’s Preview: Can Ruti Aga Finally Break Through After 3 Straight Runner-Up Finishes in Majors? 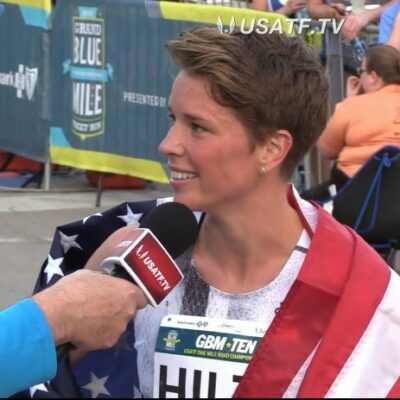 2018 Chicago Marathon Preview: Three Sub-2:20 Women Do Battle + How Will Gwen Jorgensen Fare In Her First Serious Marathon?